A collection of historical veterinary books housed in a custom display case is the most recent addition to the Steven W. Atwood Library and Information Commons, thanks to Dr. Atwood’s ongoing generosity. 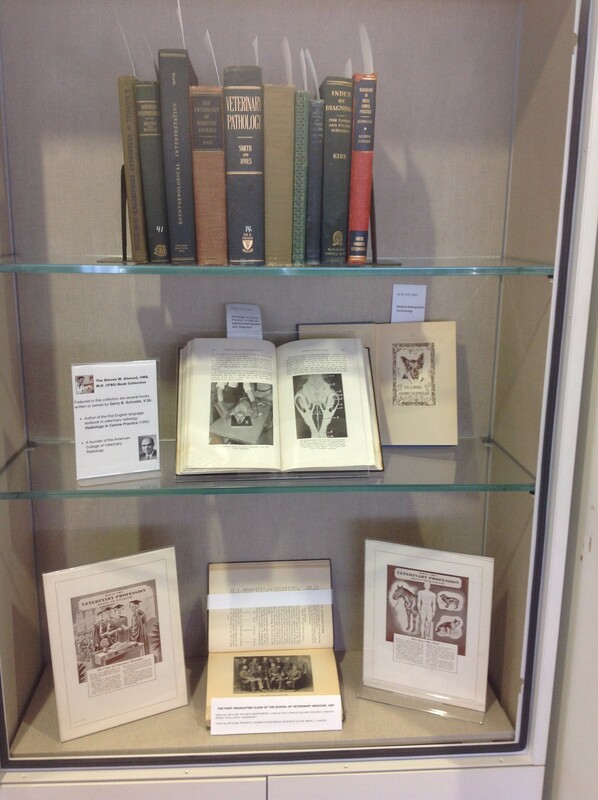 Dr. Atwood donated the textbook collection, which includes several works formerly owned by Gerry B. Schnelle, V’26. Among these is the first English-language textbook of veterinary radiology, Radiology in Canine Practice (1945), written by Dr. Schnelle. The display case, built to archival standards, was purchased largely with funds donated by Dr. Atwood’s grateful clients, Frances and Ralph Dweck. The case faces a portrait that Dr. Atwood commissioned from artist Leslie Baker. 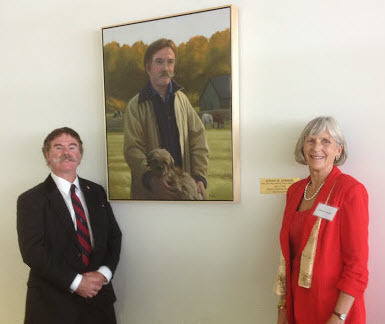 Dr. Atwood donated the painting to the library and it was dedicated in May 2014. Nearby is a grandfather clock given by the Atwood family in 2011. The case faces a portrait that Dr. Atwood commissioned from artist Leslie Baker. Dr. Atwood donated the painting to the library and it was dedicated in May 2014. Nearby is a grandfather clock given by the Atwood family in 2011.